Plant the Seed in "Good Ground"
"Good Treasures of the Heart"
In Isaiah chapter 58 the Lord counsels us on the true law of the fast. He condemns those who only fast to make themselves seem more righteous and others more uncomfortable. Though it may not be popular in the church to do that anymore, the Lord's other piece of counsel is certainly applicable to everyone. Isaiah teaches that the fast chosen by Heavenly Father is one that makes our "voice to be heard on high". This makes me wonder how many times my fast consists of simply doing without food. The other commandment dealing with the fast is that we use it as an opportunity to "deal [our] bread to the hungry", clothe the naked, and help the poor. This we do by donating fast offerings. Let us remember the story of the widow's mite, in which she was blessed because she gave of her living, not just of her abundance. 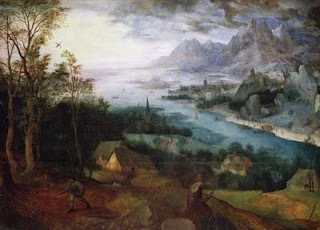 -"thy light shall break forth like the morning"
-we will be like a "watered garden whose waters fail not"
-they "shall build the old waste places"
I take that to mean that together we will raise ourselves and societies up as we all take each others' example and constantly give to on another. (Let me know if your interpretation is different - look at Isaiah 58:12). I remember how miraculous my fasting was while I served my mission, and looking back I can learn a few lessons from how I fasted. 1) I never fasted for myself - only for those we were teaching or others who needed special blessings, and 2) I knew that my fast would be answered with miracles. That is not to say we should never fast for our own needs, but the more we focus on the needs of others, the more our needs are provided for. Let's all make this Fast Sunday the first of many in which we seek to really bless the lives of others - miracles happen! The Lord commands us in the Doctrine & Covenants that we are to "prepare every needful thing" - in other words, to focus on the things that matter most in terms of our salvation. Jesus taught about priorities when He said, ‘Seek not the things of this world but seek ye first to build up the kingdom of God, and to establish his righteousness, and all these things shall be added unto you’ (JST, Matt. 6:38, in Matt. 6:33, footnote a). ‘Seek … first to build up the kingdom of God’ means to assign first priority to God and to His work. The work of God is to bring to pass the eternal life of His children (see Moses 1:39), and all that this entails in the birth, nurturing, teaching, and sealing of our Heavenly Father’s children. Everything else is lower in priority” (“Focus and Priorities,” Liahona, July 2001, 100–101). ‘Learn of me,’ he seemed to say, ‘and listen to my words; walk in the meekness of my Spirit, and you shall have peace in me.’ (D&C 19:23. )” (“ ‘But One Thing Is Truly Needful,’ ” Tambuli, Mar. 1988, 35). By simplifying our lives and focusing on becoming more like the Savior, we put the Lord in a position where He can more than provide for our needs. 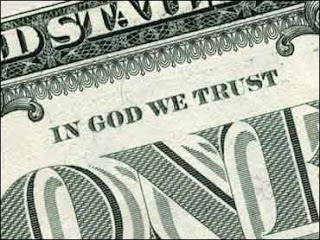 In Matthew 6:24 the Lord teaches us that we cannot serve God and mammon "an Aramaic word for riches". By focusing on only building wealth we actually limit our wealth potential. As the chapter continues Jesus teaches us how Heavenly Father feeds and clothes all of the beasts of the fields, and then says "are ye not much better than they?" All it takes is faith, and to seek "first the kingdom of God, and his righteousness; and all these things shall be added unto you." May we all work harder today to make the Lord our focus. My son, forget not my law; but let thine heart keep my commandments. In all thy ways acknowledge him, and he shall direct thy path. It shall be health to thy navel, and morrow to thy bones. Give to others, and pay your tithing, and you will have more than you know what to do with. Have a great weekend! Praise ye the Lord, Blessed is the man that feareth the Lord, that delighteth greatly in his commandments. His seed shall be mighty upon the earth: the generation of the upright shall be blessed. Wealth and riches shall be in his house: and his righteousness endureth for ever. A good man sheweth favour, and lendeth: he will guide his affairs with discretion. Surely he shall not be moved for ever: the righteous shall be in everlasting remembrance. He shall not be afraid of evil tidings: his heart is fixed, trusting in the Lord. In a recent Elder's Quorum lesson the missionaries taught us how Elder Holland taught them to study the scriptures. The have a two-colored pencil (a tip on each side), and search the scriptures for commandments which they mark in one color (red), and the promised blessings for obeying those commandments in another color (blue). children and further progeny will be "mighty", "upright", and "blessed"
be a "light in the darkness"
In many cases the commandments and blessings overlap, as one of the blessings to obeying these types of commandments is that it gets easier and easier to endure and continue obeying. Further evidence - giving and righteousness lead to our own personal prosperity. Today's post is simple, and yet so many times it is in simple principles that we find the most important truths. 2 Chronicles 20:20 - "...Believe in the Lord your God, so shall ye be established; believe his prophets, so shall ye prosper." This is a concept that I was blessed to have taught to me by my parents starting at a very young age, and I believe it with all of my heart. My father often taught using a talk by Ezra Taft Benson which I believe, if heeded, will lead to safety, happiness, and prosperity. I decided to post the talk in its entirety here. Enjoy! My beloved brothers and sisters, I am honored to be in your presence today. You students are a part of a choice young generation--a generation which might well witness the return of our Lord. Not only is the Church growing in numbers today, it is growing in faithfulness and, even more important, our young generation, as a group, is even more faithful than the older generation. God has reserved you for the eleventh hour--the great and dreadful day of the Lord. It will be your responsibility not only to help bear off the kingdom of God triumphantly but to save your own soul and strive to save those of your family and to honor the principles of our inspired constitution. To help you pass the crucial tests which lie ahead I am going to give you today several facets of a grand key which, if you will honor them, will crown you with God's glory and bring you out victorious in spite of Satan's fury. Soon we will be honoring our prophet on his eighty-fifth birthday. As a Church we sing the song, "We Thank Thee, O God, For a Prophet." Here then is the grand key: follow the prophet. And here now are fourteen fundamentals in following the prophet, the President of The Church of Jesus Christ of Latter-day Saints. Did you hear what the Lord said about the words of the prophet? We are to "give heed unto all his words"--as if from the Lord's "own mouth." I will refer to a certain meeting I attended in the town of Kirtiand in my early days. At that meeting some remarks were made that have been made here today, with regard to the living oracles and with regard to the written word of God. The same principle was presented, although not as extensively as it has been here, when a leading man in the Church got up and talked upon the subject, and said: "You have got the word of God before you here in the Bible, Book of Mormon, and Doctrine and Covenants; you have the written word of God, and you who give revelations should give revelations according to those books, as what is written in those books is the word of God. We should confine ourselves to them." The living prophet has the power of TNT. By that I mean "Todays News Today." 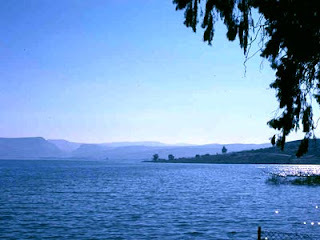 God's revelations to Adam did not instruct Noah how to build the ark. Noah needed his own revelation. Therefore, the most important prophet, so far as you and I are concerned, is the one living in our day and age to whom the Lord is currently revealing His will for us. Therefore, the most important reading we can do is any of the words of the prophet contained each week in the Church Section of the Deseret News, and any words of the prophet contained each month in our Church magazines. Our marching orders for each six months are found in the general conference addresses, which are printed in the Ensign magazine. I am so grateful that the current conference report is studied as part of one of your religion classes--the course entitied "Teachings of the Living Prophets," number 333. May I commend that class to you, and suggest that you get a copy of the class manual at your bookstore, whether you're able to take the class or not. The manual is entitled "Living Prophets for a Living Church." Fifth: The prophet is not required to have any particular earthly training or credentials to speak on any subject or act on any matter at any time. Sometimes there are those who feel their earthly knowledge on a certain subject is superior to the heavenly knowledge which God gives to His prophet on the same subject. They feel the prophet must have the same earthly credentials or training which they have had before they will accept anything the prophet has to say that might contradict their earthly schooling. How much earthly schooling did Joseph Smith have? Yet he gave revelations on all kinds of subjects. We haven't yet had a prophet who earned a doctorate in any subject, but as someone said, "A prophet may not have his Ph.D. but he certainly has his LDS." We encourage earthly knowledge in many areas, but remember, if there is ever a conflict between earthly knowledge and the words of the prophet, you stand with the prophet, and you'll be blessed and time will vindicate you. Sixth: The prophet does not have to say "Thus saith the Lord" to give us scripture. Sometimes there are those who haggle over words. They might say the prophet gave us counsel, but that we are not obligated to follow it unless he says it is a commandment. But the Lord says of the Prophet Joseph, "Thou shalt give heed unto all his words and commandments which he shall give unto you" (D&C 21:4). And speaking of taking counsel from the prophet, in D&C 108:1, the Lord states: "Verily thus saith the Lord unto you, my servant Lyman: Your sins are forgiven you, because you have obeyed my voice in coming up hither this morning to receive counsel of him whom I have appointed". Said Brigham Young, "I have never yet preached a sermon and sent it out to the children of men, that they may not call scripture" (Journal of Discourses, 26 vols. [London: Latter-day Saints' Book Depot], 13:95). Seventh: The prophet tells us what we need to know, not always what we want to know. "Thou hast declared unto us hard things, more than we are able to bear," complained Nephi's brethren. But Nephi answered by saying, "the guilty taketh the truth to be hard, for it cutteth them to the very center" (1 Nephi 16:1, 3). Or, to put it in another prophet's words, "Hit pigeons flutter." But it is the living prophet who really upsets the world. "Even in the Church," said President Kimball, "many are prone to garnish the sepulchres of yesterday's prophets and mentally stone the living ones" (Instructor, 95:257). Why? Because the living prophet gets at what we need to know now, and the world prefers that prophets either be dead or mind their own business. Some so-called experts of political science want the prophet to keep still on politics. Some would-be authorities on evolution want the prophet to keep still on evolution. And so the list goes on and on. How we respond to the words of a living prophet when he tells us what we need to know, but would rather not hear, is a test of our faithfulness. One day when President Grant was living, I sat in my office across the street following a general conference. A man came over to see me, an elderly man. He was very upset about what had been said in this conference by some of the Brethren, including myself. I could tell from his speech that he came from a foreign land. After I had quieted him enough so he would listen, I said, "Why did you come to America?" "I am here because a prophet of God told me to come." "Who was the prophet;" I continued. "Wilford Woodruff." "Do you believe Wilford Woodruff was a prophet of God?" "Yes, I do." "Do you believe that President Joseph F. Smith was a prophet of God?" "Yes, sir." Then came the sixty-four dollar question. "Do you believe that Heber J. Grant is a prophet of God?" His answer, "I think he ought to keep his mouth shut about old age assistance." Eighth: The prophet is not limited by men's reasoning. There will be times when you will have to choose between the revelations of God and the reasoning of men--between the prophet and the politician or professor. Said the Prophet Joseph Smith, "Whatever God requires is right, no matter what it is, although we may not see the reason thereof until long after the events transpire" (Scrapbook of Mormon Literature, vol. 2, p. 173). Ninth: The prophet can receive revelation on any matter--temporal or spiritual. Some of the leading men in Kirtland were much opposed to Joseph the Prophet, meddling with temporal affairs... .
Tenth: The prophet may be involved in civic matters. When a people are righteous they want the best to lead them in government. 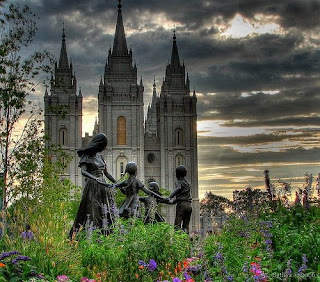 Alma was the head of the Church and of the government in the Book of Mormon, Joseph Smith was mayor of Nauvoo, and Brigham Young was governor of Utah. Isaiah was deeply involved in giving counsel on political matters and of his words the Lord Himself said, "Great are the words of Isaiah" (3 Nephi 23:1). Those who would remove prophets from politics would take God out of government. The learned may feel the prophet is only inspired when he agrees with them; otherwise, the prophet is just giving his opinion--speaking as a man. The rich may feel they have no need to take counsel of a lowly prophet. Twelfth: The prophet will not necessarily be popular with the world or the worldly. As a prophet reveals the truth it divides the people. The honest in heart heed his words, but the unrighteous either ignore the prophet or fight him. When the prophet points out the sins of the world, the worldly either want to close the mouth of the prophet, or else act as if the prophet didn't exist, rather than repent of their sins. Popularity is never a test of truth. Many a prophet has been killed or cast out. As we come closer to the Lord's second coming, you can expect that as the people of the world become more wicked, the prophet will be less popular with them. 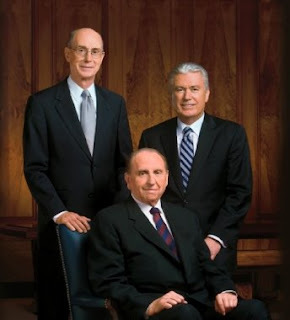 Thirteenth: The prophet and his counselors make up the First Presidency--the highest quorum in the Church. In the Doctrine and Covenants, the Lord refers to the First Presidency as "the highest council of the Church" (107:80) and says, "whosoever receiveth me, receiveth those....the First Presidency, whom I have sent" (112:20). 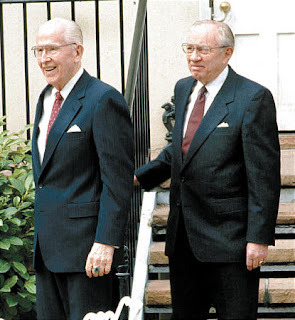 Fourteenth: The prophet and the presidency--the living prophet and the First Presidency--follow them and be blessed; reject them and suffer. The Prophet spoke out clearly on Friday moming, telling us what our responsibilities are... .
A man said to me after that, "You know, there are people in our state who believe in following the Prophet in everything they think is right, but when it is something they think isn't right, and it doesn't appeal to them, then that's different." He said, "Then they become their own prophet. They decide what the Lord wants and what the Lord doesn't want." And with my servant Almon Babbitt, there are many things with which I am not pleased; behold, he aspireth to establish his counsel instead of the counsel which I have ordained, even that of the Presidency of my Church. In conclusion, let us summarize this grand key, these "Fourteen Fundamentals in Following the Prophet," for our salvation hangs on them. Eighth: The prophet is not limited by men's reasoning. Ninth: The prophet can receive revelation on any matter, temporal or spiritual. I testify that these fourteen fundamentals in following the living prophet are true. if we want to know how well we stand with the Lord, then let us ask ourselves how well we stand with His mortal captain. How closely do our lives harmonize with the words of the Lord's anointed--the living prophet, the President of the Church, and with the Quorum of the First Presidency? May God bless us all to look to the prophet and the presidency in the critical and crucial days ahead, is my prayer. In the name of Jesus Christ. Amen. It is amazing how much our lives are effected simply by our outlook on life, and not by some cruel hand of fate. In the case of prosperity and abundance we can either have a scarcity or abundance mentality, and then we reap what we sow. First of all, the members of the United Order are held to a stricter standard, and then promised that "inasmuch as those whom I commanded [are] faithful they should be blessed with a multiplicity of blessings" (vs. 2). The more we serve those in need the more exponential the amount of blessings that return to us become. For those who have riches it is their job to "exalt" the poor and make themselves humble or low (vs. 16). It is in this spirit of constant gratitude, humility, service, and giving that the Lord can guide us to the blessings He has in store. Finally, vs. 17 has a wonderful truth: "for the earth is full, and there is enough and to spare" (emphasis added). For many there is a subconscious (or at times conscious) roadblock that keeps them from achieving monetary and other prosperity related goals due to a false belief that the tank is drying up. No matter how much wealth is hoarded by the greedy (rich or not) there is always much more than enough for everyone to enjoy if we will take it. The church's welfare program is a wonderful example of this kind of humble service in action. Due to our aggressive program of helping those in need (and for a multitude of other reasons) the church prospers. The church does not horde its wealth, they use it to build temples and chapels, expand the missionary program, give funds for education to those who cannot afford it, educate third-world countries in agricultural techniques, give relief in disasters, and much more. If we do the same, the blessings will be the same. Have a wonderfully abundant day! 2 Corinthians 8 has a lot of great advice as to what to do with your abundance in order to live an abundant life yourself (some of which I understand - some of which I would love some other input). Vs. 14 - "But by an equality, that now at this time your abundance may be a supply for their want, that their abundance also may be a supply for your want: that there may be equality." This has hints of the Law of Consecration, and also of the principle that by giving to others it all seems to come back even more aggressively. and vs. 15 - "...He that had gathered much had nothing over; and he that had gathered little had no lack." Going back to a concept discussed before - by hording wealth we lose it, always being in a state of need and fear over who is going to take it away. By giving of our abundance not only do we live more prosperous lives in a financial sense, we also develop the friendships and relationships that lead to true prosperity. I recently read a great biography about Walt Disney, a man who had many faults but also did a lot of things right (sounds like the majority of us). Disney claimed that he never really wanted a lot of money for himself - a fact which can be evidenced by looking at the conditions under which he lived - comfortable but never extravagant. He said he just wanted more money to keep funding projects, putting it all into his company, which he really felt was doing a great service to the world. Let us use our resources for good. John Wesley, a prominent member of the Methodist movement, when asked about money said, "Get all you can. Give all you can." Jesus was once approached by a student who asked Him to divide up the inheritance that had been left to the student between him and his brother. Christ's response to Him is to beware of covetousness - "for a man's life consisteth not in the abundance of the things which he possesseth". It seems counter-intuitive in a blog about prosperity to quote scripture about not living in your possessions, but that is precisely one of the principles that leads us to true prosperity. One who covets can never feel gratitude. By coveting "stuff" we create a permanent feeling of starvation - never satisfied, always feeling the need to have more - the things the Lord has blessed us with are not enough. When we turn off the desire to covet and shift it to an "attitude of gratitude" we realize the great abundance we already enjoy, and, we get more. Instead of living a life of constant deficit and unfulfilled need we live in our own prosperity. The Savior goes on to teach a parable about a rich man whose fields yield "plentifully" - so much that he doesn't have room to contain it all. He decides to tear down his barn and build bigger storage buildings to store his goods - and then have the ability to "take [his] ease, eat, drink, and be merry". The next verse is striking: "But God said unto him, Thou fool, this night thy soul shall be required of thee: then whose shall those things be, which thou has provided?" He goes on to say that this is the state of one who "is not rich toward God". I am confident that the life of one who is grateful, working to lay up "treasures in heaven" is a life full of happiness, joy, interesting and fulfilling relationships, and prosperity. In Mark 12:41-44 we read the brief account of the widow's mite in which Jesus differentiates between two different kinds of giving. He put Himself by the treasury and watched as people donated their money, followed shortly by the widow who essentially puts everything she had into the box. 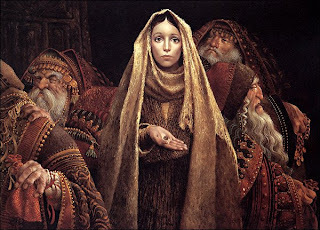 Then, Christ calls together His disciples and teaches them that the more wealthy patrons only "cast in of their abundance" while she donated "all of her living". This comparison counsels us how we should give. It is easy to give of our surplus - and sometimes we may even make ourselves feel good by giving a lot of that surplus. I do not suggest those donations do not bring blessings, but the widow gives more and gets more because she gives from her living expenses. In the last general conference Elder Eyring spoke about a young man who when still young, newly married, and poor gave of his meager earnings to assist another family in financial stress. He goes on to say (maybe even in passing) that this young family went on to enjoy more prosperity than they knew what to do with. The Lord has a way of giving to those who give the most. He knows that by giving to those who sacrifice they will spread the wealth among those even less fortunate. Usually when we are poor our inclination is to horde and keep all of our gains, when the Lord teaches us that this is precisely the time to develop a habit of sacrificing and giving. In my life, I can trace my most abundant and prosperous periods to those times when I gave and sacrificed the most to help others. I know it works! In Matthew 13 Christ teaches such a wonderful principle when it comes to the concept of prosperity and abundance in his Parable of the Sower. In vs. 12 Jesus says "for whosoever receiveth, to him shall be given, and he shall have more abundance; but whosoever continueth not to receive, from him shall be taken away even that he hath". Previously I understood receiving to be a passive principle - I sit around and wait for things to come. If I like it, I take it - if not, I ignore it or let it go. These scriptures teach us that receiving is something we have to be proactive about. It is also in these verses that we learn why Jesus teaches in parables - to give us the opportunity to receive. In other words, the Savior teaches in ways that make us search for the answers, and then choose what to do with them. The process of receiving and finding truths is an essential truth in and of itself. Some fall by the way side, which represents those who are taught correct principles and don't understand them. This teaches us that not only is receiving something we have to be active about - so is understanding. If we don't "get it", it's our job to study it out until we do. Others fall in stony places - someone receives the word with joy, "yet hath he not root in himself". This reminds me of yesterday's post - maybe this represents those without "good treasures" in their hearts. I know this happens to me sometimes - I hear or see a principle at work that moves me or testifies of its truthfulness, I feel great for that moment, but I don't actually allow it to change my behavior. Some seeds grow and are choked by thorns, or in other words, the word grows yet is destroyed or at least stunted by the deceitfulness of the world. This makes me think of the phrase "philosophies of men mingled with scripture", or perhaps the allowing of current self-help fads to dictate our study of the gospel and not vice versa. Finally, some fall onto good ground, and in this case Christ teaches us exactly what this means. Here He also explains what it means to receive: we 1) hear the word, 2) understand it, then 3) make it grow to the the point that it bears fruit, or becomes internally motivated action. The Savior also states that different people will provide varying amounts of fruit, and that doesn't seem to be a problem at all. This process is a continual one, and here in these verses are a couple of tips as to how to be more effective in our receiving. First, we are told to be humble, not among those who have their ears "dull of hearing, and their eyes have closed". We are also taught to "understand with [our] heart". Sometimes the logical veil cannot comprehend the deeper truths that only our heart can understand. 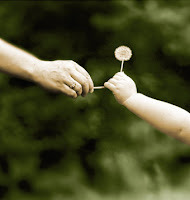 One of the most fundamental principles of prosperity is the more we give the more we receive. Christ is the perfect example of how to give and never want. In Matthew 12 he demonstrates how his disciples are much more important than other sacred principles of the Gospel - in this case, the Sabbath. His disciples pick corn and eat it, and he heals and casts out devils, all on the Sabbath. The pharisees criticize him for this action, but his example is clear. He also teaches a concept that many self-help books seem to miss: that in order to truly interact effectively with others you have to become the best person you can. It is not enough to learn extravagant words and manipulation techniques - your heart must be kind and sincere. Christ uses the phrase "good treasures of the heart" in vs. 35, and in verse 34 teaches: "for out of the abundance of the heart the mouth speaketh". We rely on others for all of our success - the boss that pays your paycheck, your family members who support you, your teachers, etc. our progress depends upon how we treat others and how we are treated. Let us evaluate what kinds of treasures we have in our hearts by becoming more kind, receptive, and sincere. Then as we strive to put others first and serve with all of our hearts blessings will be poured upon us.